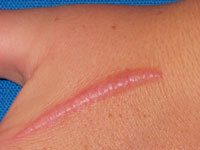 A scar is the body’s natural way of healing and replacing lost or damaged skin with dense collagenous “scar” tissue. Our scar revision is meant to minimize the scar so that it is more consistent with your surrounding skin tone and texture. There are several different types of scars dependent on how your body produces collagen in response to an injury. Hypertrophic scars. 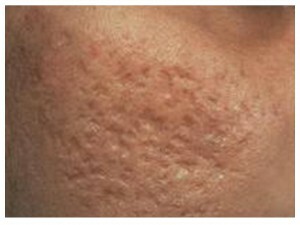 Production of excessive amounts of collagen results in hypertrophic (thicker than “normal”) scars. 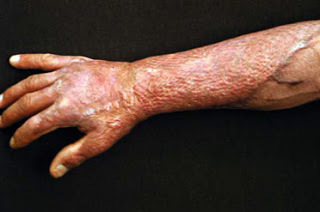 These are raised, red scars that are similar to keloids but do not go beyond the boundary of the injury. Keloid scars. 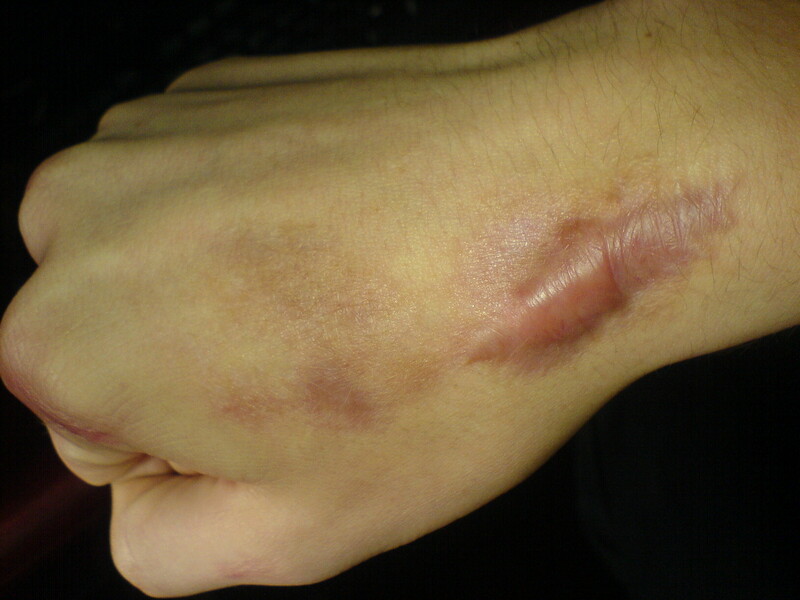 These scars are the result of an overly aggressive healing process. They extend beyond the original injury. Over time, a keloid scar may hamper movement. Atrophic scars. 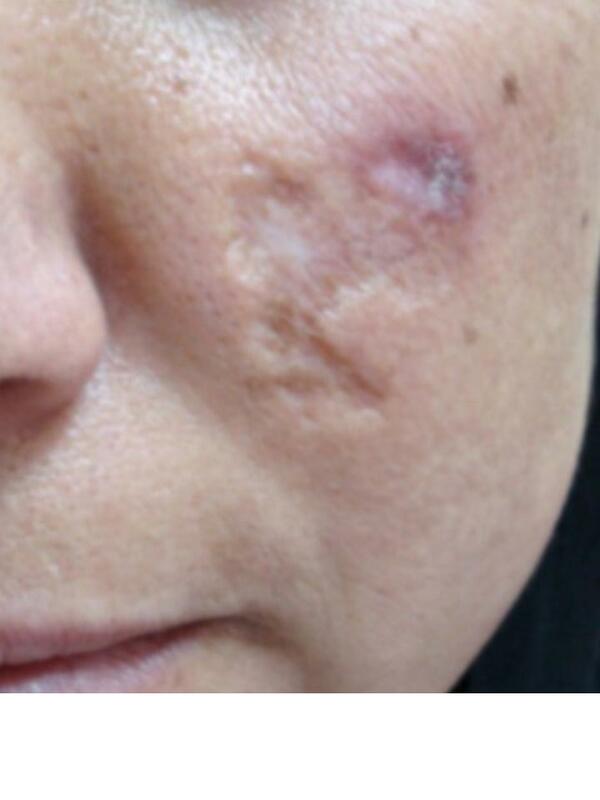 Production of insufficient amount of collagen, together with loss of underlying tissue, results in atrophic scars. These take form of a sunken recess in the skin, such as pitted scarring of acne or stretch marks which occur due to rupture of deeper dermal layer of skin during rapid growth or expansion (e.g. pregnancy, rapid weight gain, growth spurt). At our clinic, we have several techniques available for treatment of unsightly scars that include ablative laser resurfacing, a variety of non-ablative laser treatments, intra-lesional injections, surgical resection and repair, and topical application of various medications. Scars occur when our body’s healing processes cannot replace injured tissue with the same type of tissue due to the degree of damage, and the damage is repaired with dense collagenous “scar” tissue. Sometimes the scarring process does not produce the correct amount of collagen required to repair the damage; in these situations, unsightly scars may result. 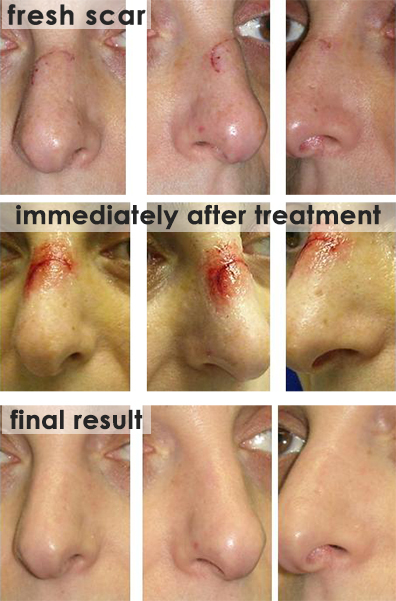 The best results in scar removal are often achieved if the scar is treated when it is still fresh, before the dense collagenous tissue is completely organized. Book a consultation online today. Call us at 604-284-5501 if you have any questions. Our friendly trained staff will help you every step of the way.